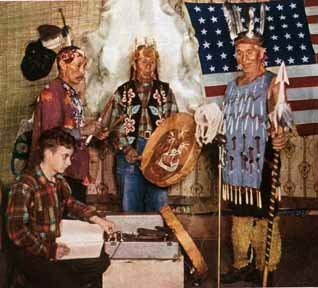 While Harry was collecting phonemes in his Lummi field recordings, he was also collecting rare American 78 records. He took his collection (heavy!) with him to San Francisco, and then on to New York, where he tried to sell it to Moe Asch at Folkways Records. Instead Asch challenged him to curate the Anthology of American Folk Music. Harry famously did not include identification as to the race of the singer on his liner notes. He had been living in a black neighborhood in SF and hanging out with bebop jazz musicians. What was Harry’s engagement with race in America?